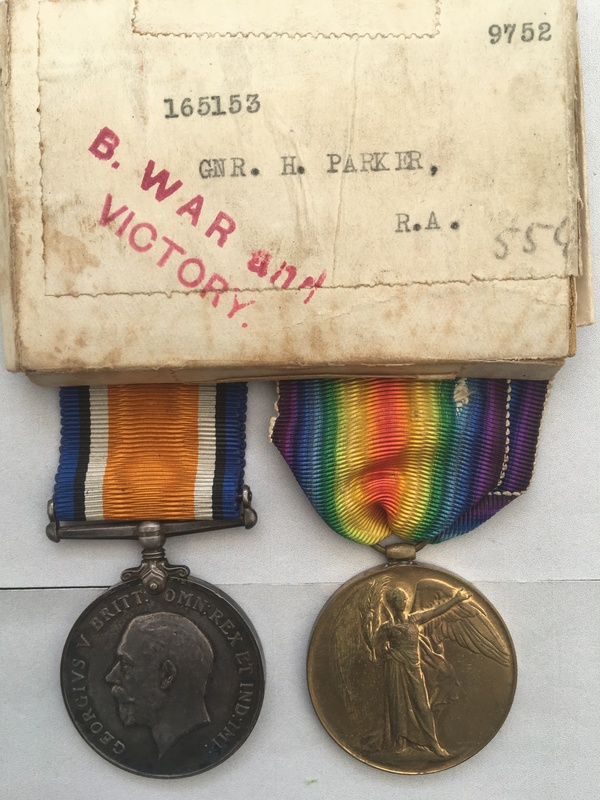 A WW1 and WW2 family medal group awarded to 165153, Gunner Harry Parker, Royal Garrison Artillery and H. W. Parker ESQ, RAF of Oakengates, Shropshire (presumably father and son). 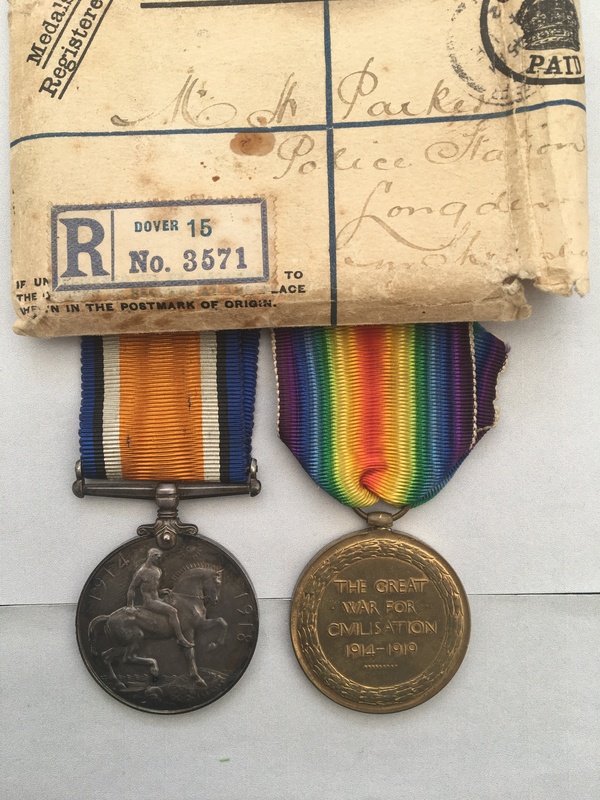 Harry Parker’s Medal Index Card can be viewed by clicking on here (if you have access to Ancestry) although a paper copy will be provided. I have been unable to locate any service records to this man. British War Medal and Victory Medal named to 165153. GNR. H. PARKER. R.A. 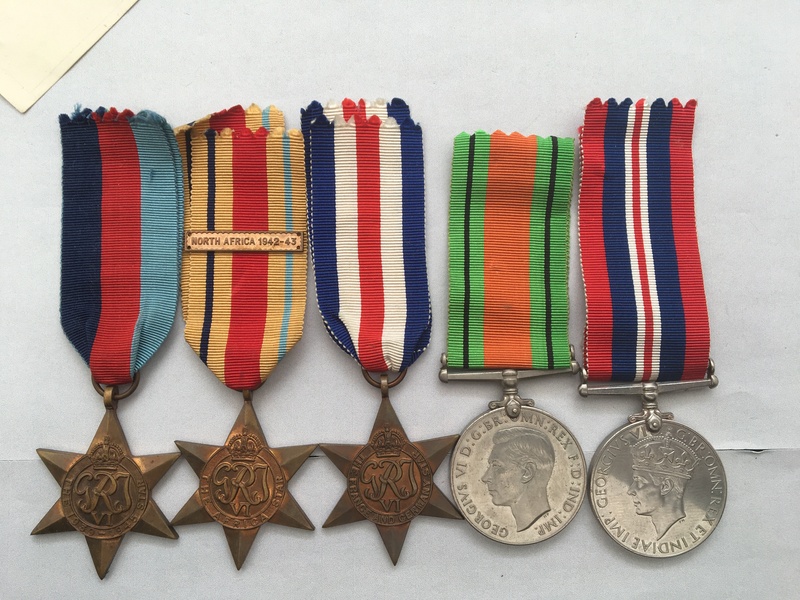 The medals are lose with original ribbons in their original box of issue (with paper packets) contained within the original postal envelope, interestingly addressed to the ‘Police Station’ Longden, (Shropshire). 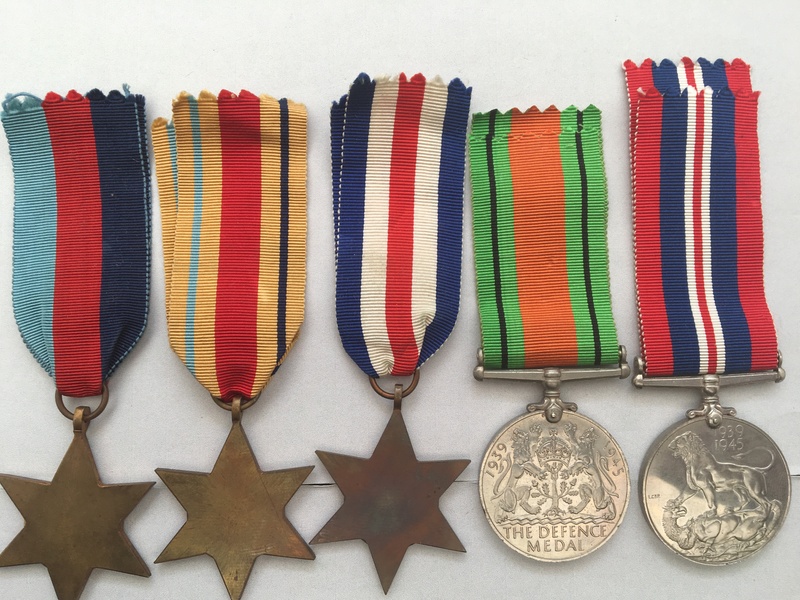 1939 Star unnamed as issued. Africa Star (clasp NORTH AFRICA 42-43) unnamed as issued. France and Germany Star unnamed as issued. 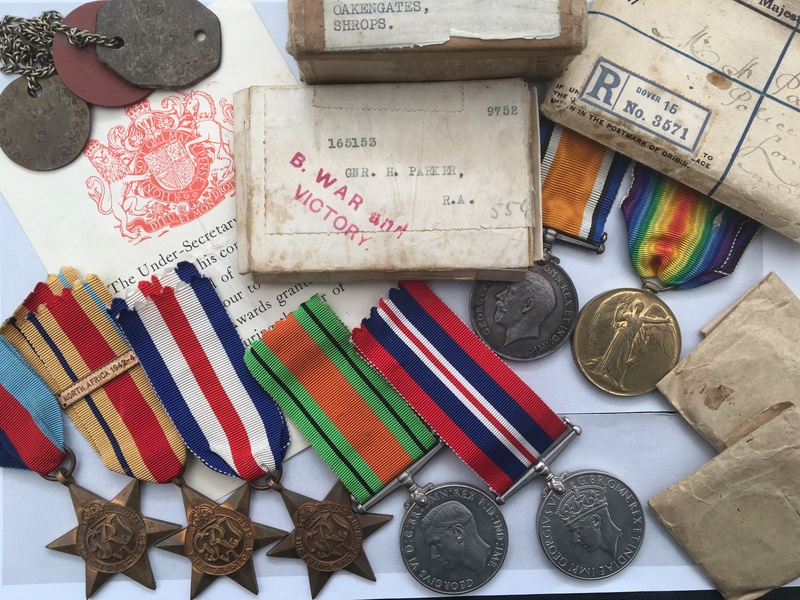 The medals are loose, in their original box of issue (within their original wax packets) with their original ribbons and are accompanied by an Air Council Medal Award Slip. Additionally, a set of ‘dog tags’ on a chain, with Parkers details, are also included with this listing. I have undertaken no further research in regards to this man.